Itch. Itch. Itch. Scratch. Scratch. Scratch. Hashtag Eczema life. Eczema is a tricky business. Flares, weeps, triggers. Fighting the urge to scratch your skin off. Feeling sensitive about the visible areas. There’s nothing fun about it. So here’s an idea; try salt therapy. Have you ever noticed the positive effect that the ocean has on your skin? Salt therapy is like the ocean, times a trillion to the power of infinity (do not challenge our maths skills, please). Firstly, what is salt therapy? All you have to do it sit in a comfy massage chair in a relaxing room, while pharmaceutical dry salt is pumped through the air. That’s it. Sit and breathe, maybe even nap. 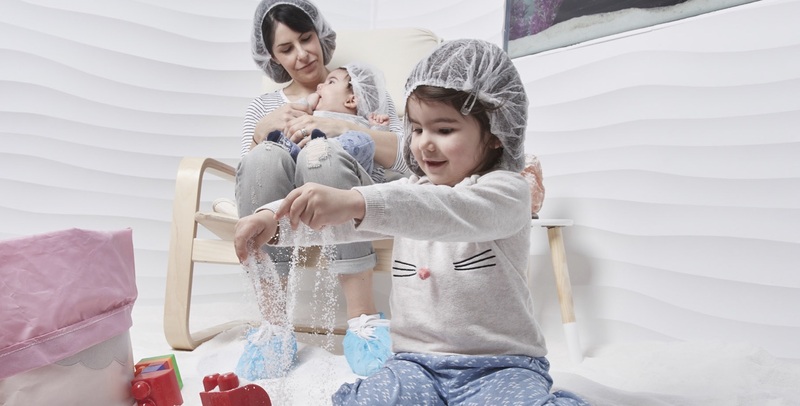 For clients with severe skin conditions such as eczema, a private room can be booked so they can strip off and expose as much skin to the dry salt as possible. How does it help? The salt may help reduce red, flakey, irritated skin, while also balancing the Ph levels of the skin. Eczema sufferers, pop into your nearest Salts Of The Earth centre and discuss a management plan today. Your skin will thank you.